There is something truly captivating about a million different glittering stars winking down at you from a dark and enchanted night sky. It says several things all at once and absolutely nothing at the same time. It’s a reminder to breathe. A reminder that you are a small piece of something much bigger than you know. A reminder you can achieve anything you want in this life. If you live in the country, you have an advantage over most. It means you can star gaze most any time you’d like. But for those living near around-the-clock lit up cities, it calls for vacation and a little planning. Keep reading for our beginner’s guide. With star gazing, timing really is everything. Typically, winter is the best because it is a clearer view. Summer nights create humidity and a haze that can damper your fun. Also, research the different phases of the moon and find out when it will be only partially visible. Avoid stargazing during the full moon because it brightens up the entire sky and washes it out. A sheet to lay on the ground. Some comfortable pillows to lay on. A light blanket to snuggle under. Or you know, a Star App, because it is the 21st Century. There is technology, and it is completely fine. Suggestions: Skyview, Nightsky, Sky Map or Pocket Universe. Tip: If you opt to use your phone, cover the screen with a sheet of red cellophane. It is kinder to your eyes than white or blue light, and it won’t ruin the view. Or, If you choose to be old-fashioned and break out a real map, that’s fun too! Pretend you are one of the very first pioneer’s, out on a wagon trail; You’re stopping for the night to lay under the stars and depending on them to show you the way. Said to be the best place for star-gazing in all of Texas due to its remote location. 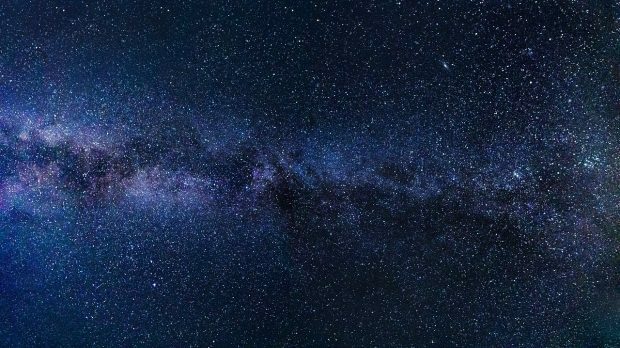 It is likely one of the darkest parks in the country, which makes it perfect for a clear view of the night sky. Cedar Breaks is well known for having one of the best National Park night experiences. 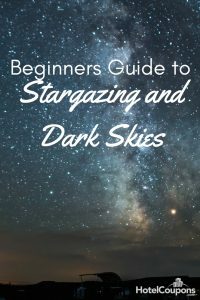 If you’re unsure about where to start and would feel better stargazing with a crowd, consider visiting. They hold several “star parties” throughout the summer and the winter. You can join an event here. If it’s a spiritual journey you seek, check out Sedona. Tourists love to visit here for a vision quest ritual; a stargazing experience like never before. 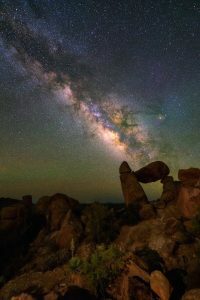 Native Americans have long believed in our connection to nature and the power of the stars being in alignment with our spirits. Do you agree? Find out. 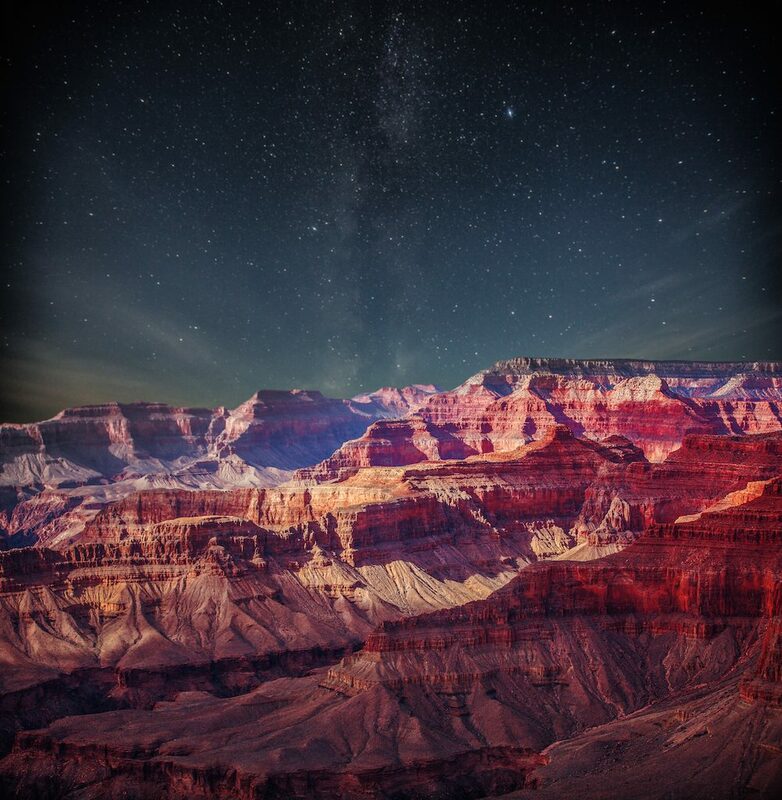 Also in Arizona: The Grand Canyon is a breathtaking place to visit at any time; During the day, the rock walls light up in the brightest hues of orange, pink and red. And as the sun goes down, they are replaced by the richest blues and purples. At night, when the skies are at their darkest (and they are some of the darkest skies in the states! ), the view is even more spectacular. Grab a friend and join a Star Party here. The Keys have an advantage for showing you stars in the Southern Hemisphere that can’t be seen very well in other parts of the United States. Key West is after all the Southernmost point, so it makes sense that you’d have the best view from there. Look for the Southern Cross Constellation! Big Pine Key is also a good key to be. Its dark obsidian sky invites you to lay out a sheet and do some stargazing- preferably with a margarita in your hand! Did we miss a spot? Where is your favorite State to go stargazing? We’d love for you to tell us in the comments!